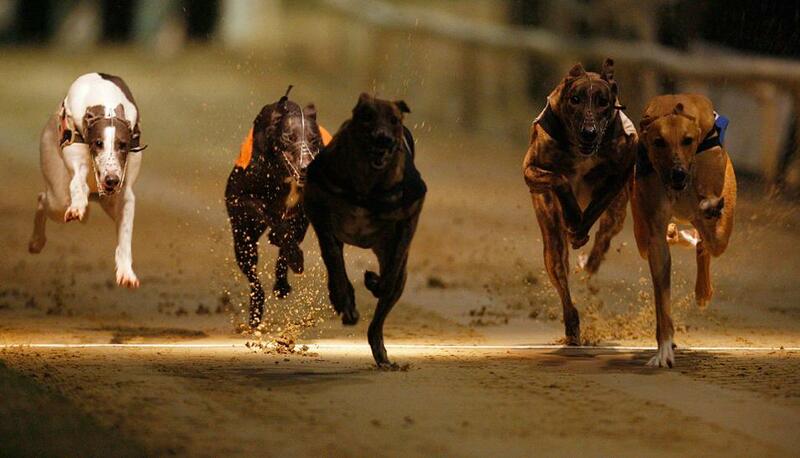 It's an unmissable night on RPGTV with not only the Romford Puppy Cup final up for grabs but the heats of the Essex Vase also getting under way. Check out Darrell Williams' best bets. "Grays Cup Winner’s main attribute has been his exceptional pace to the bend and with a draw inside his main rival and his overall quicker semi-final run I prefer the local runner who is clearly progressing at a rate of knots"
A spate of surprise results at Romford last Friday inflicted more than its share of shocks in the Puppy Cup semi-finals. Grays Cup Winner however will take an unbeaten record into tonight's final (20:53) with the market suggesting there will be little to choose between Phil Simmonds' charge and Ted Soppitt's Calzaghe Flash who confirmed the promise of his excellent sprint form elsewhere with a blistering all-the-way victory. A reproduction anywhere close to his exceptional 0358 split would clearly put him in early command but it remains to be seen whether he will be quite so effective back in trap five. Grays Cup Winner's main attribute has been his exceptional pace to the bend and with a draw inside his main rival and his overall quicker semi-final run I prefer the local runner who is clearly progressing at a rate of knots. Dantes Inferno may again out trap his semi-final rival but was unable to hold him into the bend although may prove best of the rest. On an excellent night for RPGTV viewers a competitive renewal of the Essex Vase also kicks into action with the first of six heats (18:44) arguably the most enthralling. Quite rightly both Droopys Gold and Saleen Ash hold strong claims for outright honours but choosing between them is less simple with preference for Seamus Cahill's first named only marginal. Had he not been turned over when slow to go last week he would surely have held even stronger claims in the long odds market having demonstrated what he is capable of over the 575m discipline on the previous two Fridays. A winner of more than half his 36 starts he remains thoroughly unexposed over six bends and can account for the Champion Stakes third in what appears a match. Cahill has a strong hand in the event with Sussex Cup winner Sporting Dave, twice a winner over 400m at Romford, fancied to make a winning start over this course and distance for his six-bend bow in heat six (20:06) with the switch to trap one a further factor in his favour. Brigadier Bullet defends a two-from-three record over the 575m trip and following a productive spell at Henlow over further fits into the progressive category for Mark Wallis and can come out on top in an intriguing fifth heat (19:49) where Leger third Ridgedale Max and even more interesting at a price Lotties Rocket set to ensure it will be no easy ride. Maysthistlecrack continues to be under-rated as recent winning CD form confirms but rates the bet of the night in heat two (19:03) with Pam Dolby's durable sort facing what appears a relatively straight-forward task. And the kennel could also be on the mark in heat four (19:33) courtesy of in-form Quantum Leap who can foil Golden Jacket and Coronation Cup hero Shotgun Bullet. Minnies Highway's fourth place in last weekend's Leger final was testament to what has been an excellent season in major six-bend finals for John Mullins' charge and he was tempting from trap one in heat three (19:17). However, at superior odds I'll take Barricane Carina, who can further enhance her excellent trap six record over this trip.